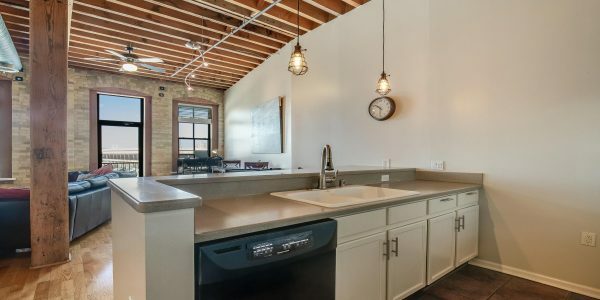 Two bedroom, two bathroom unit can now be yours right in the heart of the Third Ward at Hansen's Landing. .. Location, Location, Location!! Two bedroom unit now available in the sought after Hansen's Landing in the Third Ward!! 7th floor unit with lake and city views can now be yours at the BreakWater! Open concept floor plan with ..
7th Floor unit now available at the sought after Breakwater Condominiums! Spacious one bedroom unit now available at the Breakwater! Open floor plan features a gourmet kitchen with stainless appliances, granite .. Meticulously maintained unit now available at The Breakwater! Enjoy spectacular views and beautiful sunsets from this 14th floor unit at The BreakWater!! Foyer takes you to the spacious .. High-rise living can be yours in this 14th floor, southwest corner unit at The Breakwater!! Enjoy southern exposure and river views from this Third Ward Gem. Open concept kitchen and living room with many windows ..
Third Ward living can be yours in this 2 bedroom+den, 6th floor unit on the River. Updated and move-in-ready, this two bedroom, two bath condo is located in the heart of the East Side. With floor-to-ceiling .. Updated townhouse style unit in great eastside location at the abbotsford. Stylish kitchen with maple cabinets. Stunning and meticulously maintained, custom built, 2-story home on large corner lot in Jenna Prairie Estates. Kitchen with stainless steel .. Suburban living can be yours in this beautiful custom built home in Jenna Prairie Estates.